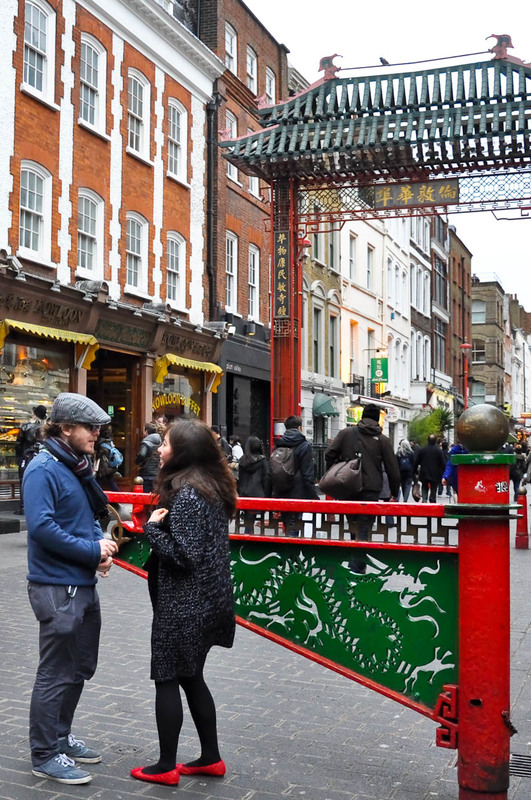 If you ask me to list my favourite places in London, I guarantee you that Chinatown will be up in my top five. 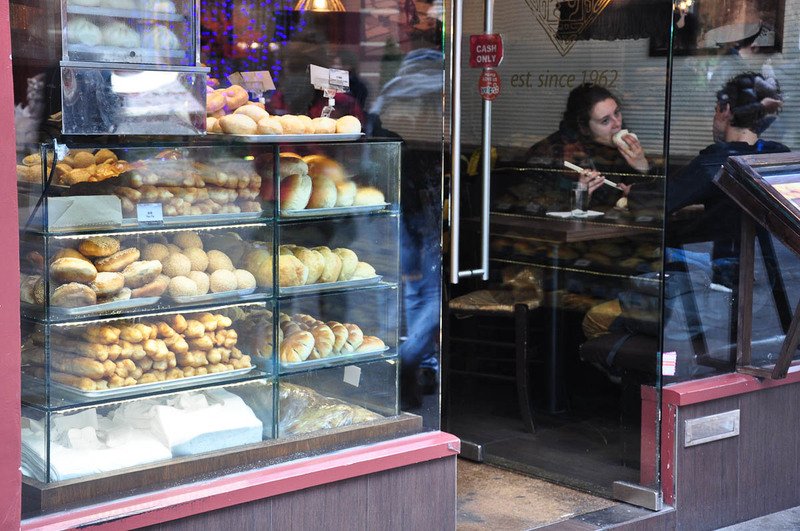 I used to go there often for a quick bite to eat, to shop for exotic looking products from the Chinese supermarkets and bakeries or simply for a short walk when the London-induced stress was getting a bit too much and I just craved a momentary respite. So, I would always leave having made at least one new discovery and with bags tightly stuffed with prized purchases like a Chinese money frog as a present for a family member or a friend, a box or two of strong jasmine tea (which would then languish in my cupboards for months, as it never had the same allure as when you order it in a Chinese restaurant) and, I am not ashamed to admit to it, at least one bag of frozen dumplings, which I would happily steam and serve at home. 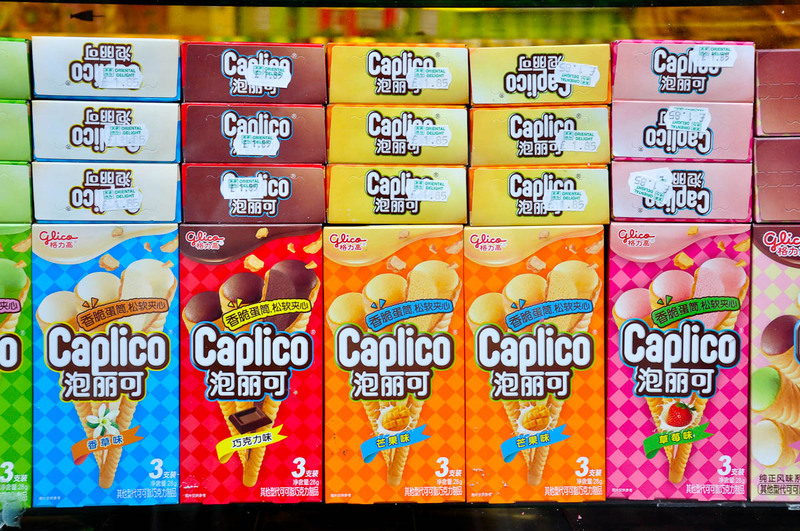 In fact, one of the few things I miss in Italy about my previous life in England is the ability to buy these frozen dumplings or any other weird and wonderful thing which London’s Chinatown would offer me almost casually every time I visited it. 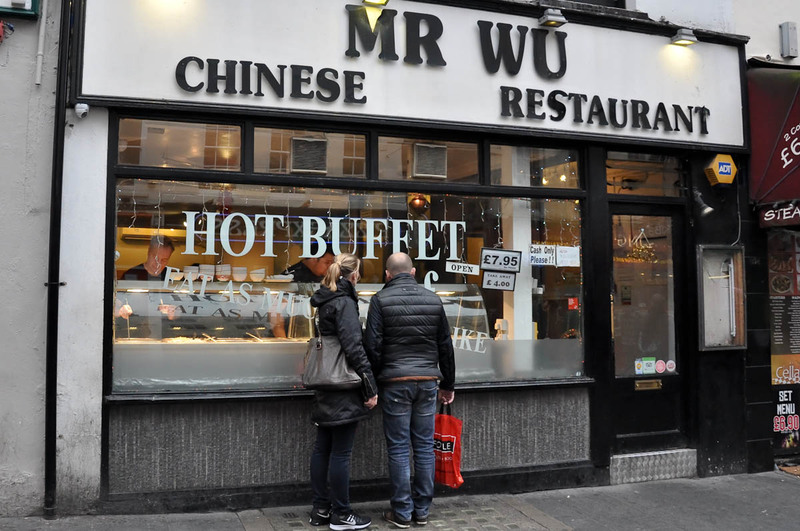 It is not like there are no Chinese restaurants in Vicenza, where we currently live, but there is nothing like a proper Chinatown with the wealth of Chinese supermarkets, eateries and even acupuncture places which were abundant in London. 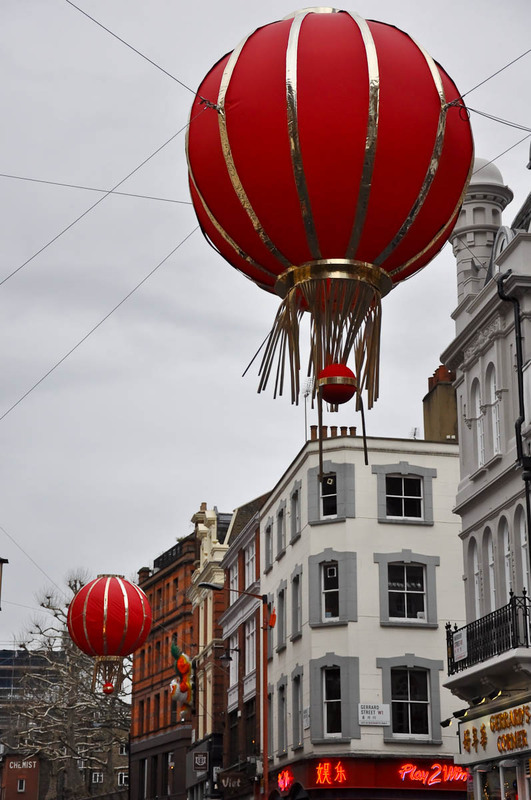 As such, when I decided to spend the penultimate day of the year 2015 re-acquainting myself with London, I immediately knew that I had to go to Chinatown for an hour just to enjoy the place and to observe the rhythm of its daily life. I am big on observation. I am not really into small talk or being bubbly (I actually hated it when ads for jobs in London stated that a ‘bright and bubbly personality is a must’). I much prefer to be left on my own devices, without having to engage in chit-chat, and just observe the world as it goes by. 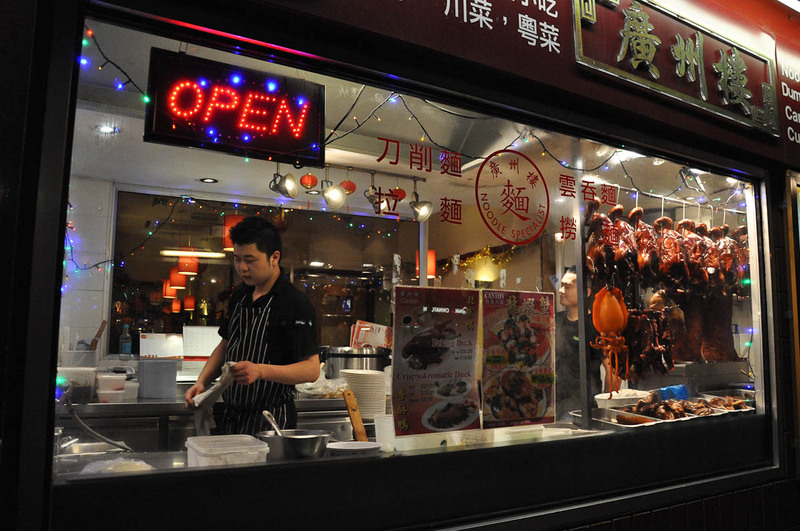 … to restaurant window displays lined up with brightly coloured crispy ducks, chickens and squid. 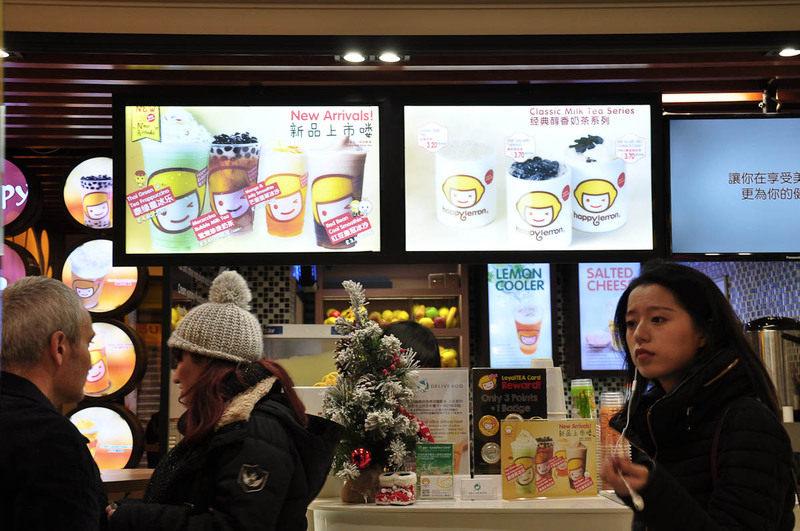 … to boxes with sweets developed specifically for the tastes of the Chinese customer. At times, it is a bit too much to take it all in. It is like you are a kid again and there are so many things which intrigue you, but you don’t know what they are or how to use them. 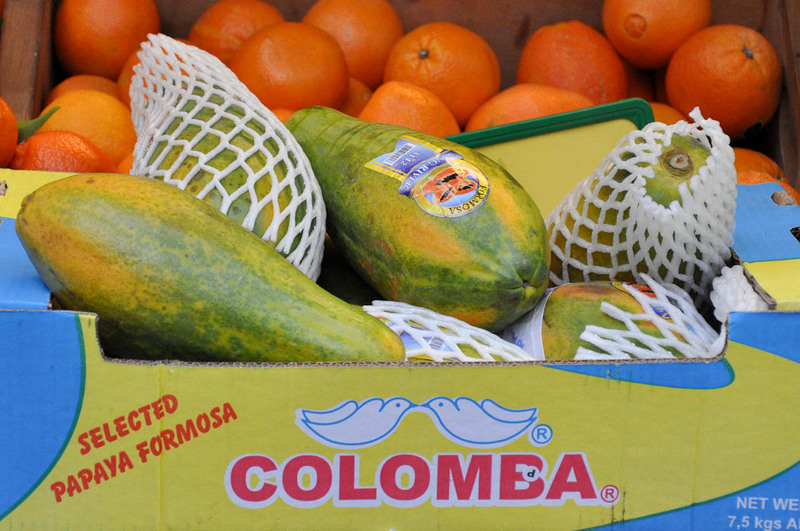 For example, these green leafy vegetables. 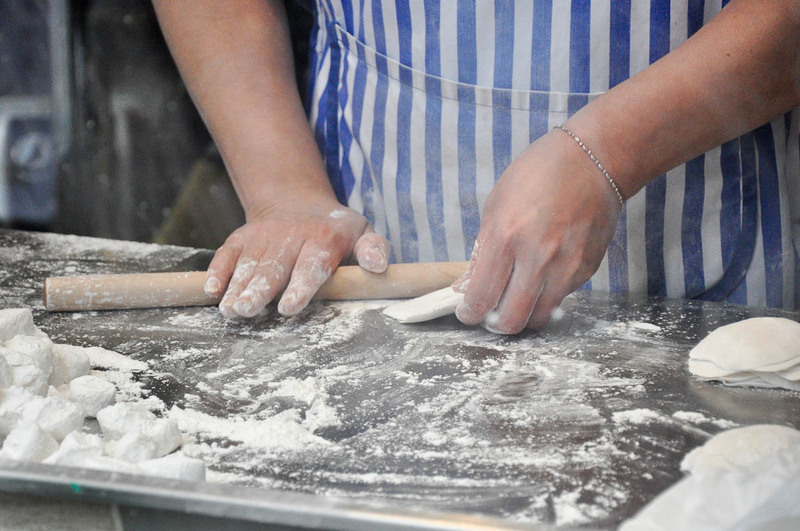 What is ‘kai lan‘ and how do you cook it?! 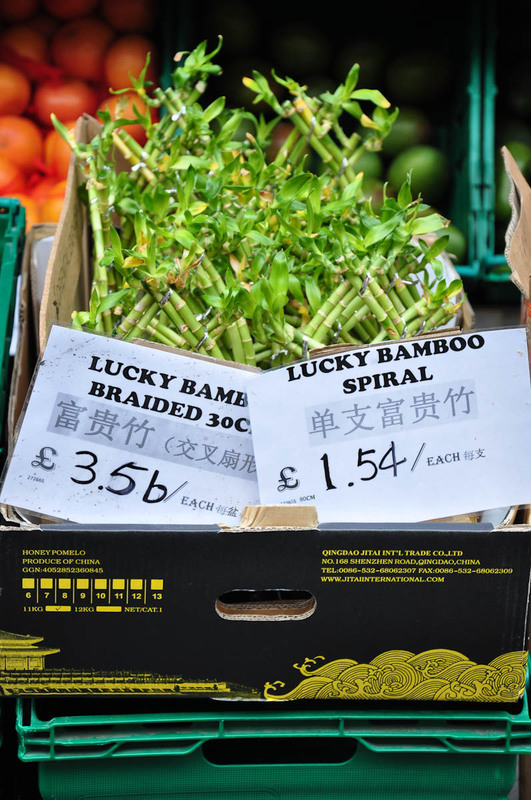 I can’t tell you the number of times I ended buying something from Chinatown just because it had caught my eye and appealed to my sense of adventure. Yet, I didn’t have a clue what to do with it, so it then stayed in my cupboards next to the jasmine tea for months, until its expiry date came and went or until the day (whilst still in date) when I would decide to put my trust in the short English label stuck on top of the original instructions in Chinese and give it a try. Once, I remember buying two soup sets. 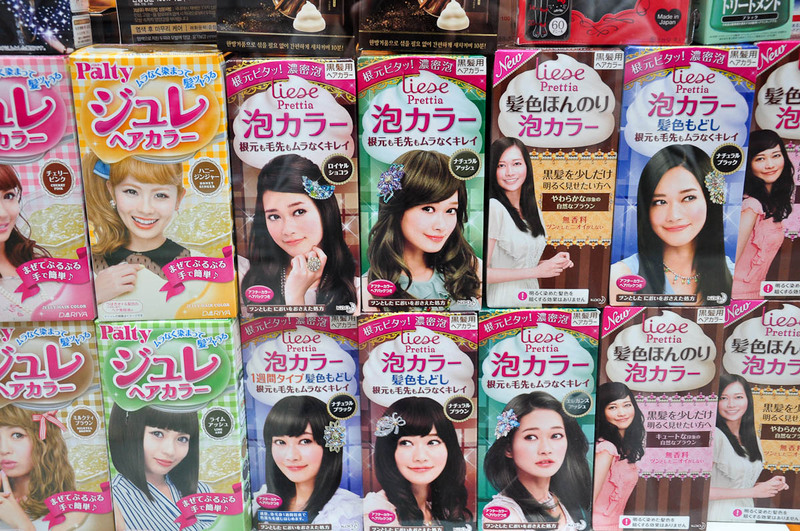 Each was packed in a see-through plastic wrapper and I could discern a selection of dried roots and other unfathomable stuff. According to the instructions, I had to soak the contents of the pack for hours on end and then add chicken and boil it all together until it was all soft. The resulting soup looked like a river bed – with long tangled roots and branches floating in it. There were also different beans and seeds and even a whole dried (I think) bergamot. It was edible, but the second pack never made it to the stove. 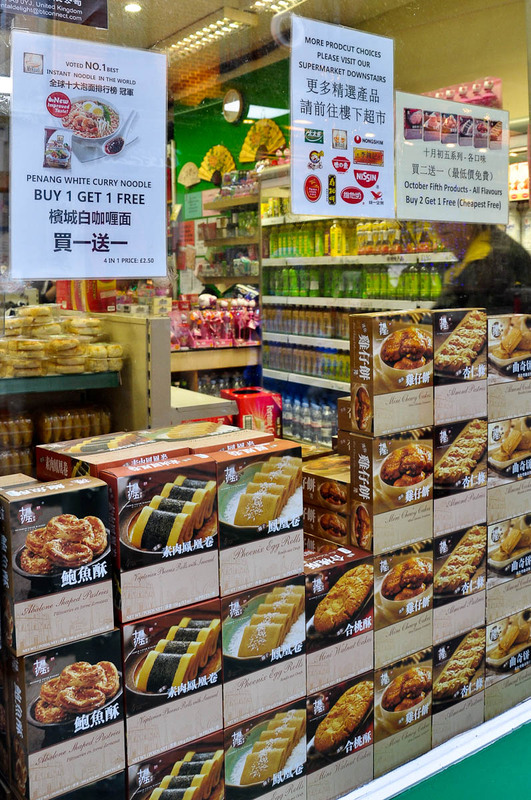 It didn’t put a dampener on my enthusiasm for purchasing Chinese foodstuffs without a clear idea how I was going to use them, so I kept buying stuff and another purchase I remember well was a jar of black bean paste which looked so exciting and nice, but I never made anything with it. 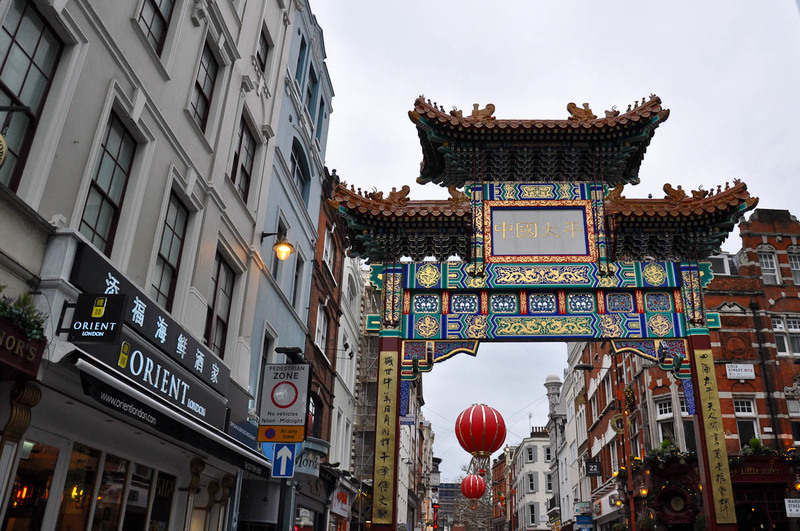 So, yes, I had a day to spend in London and Chinatown was firmly on my to-do list. I reached Wardour Street just after lunch time, following onto my nostalgic visit to Camden Town. You know that anticipation which grips you when you are about to visit a place which has been dear to you in past times. Your heart beats in a flutter unsure if you would still love what you are about to see or if the place would have changed beyond any recognition spoiling it forever for you. 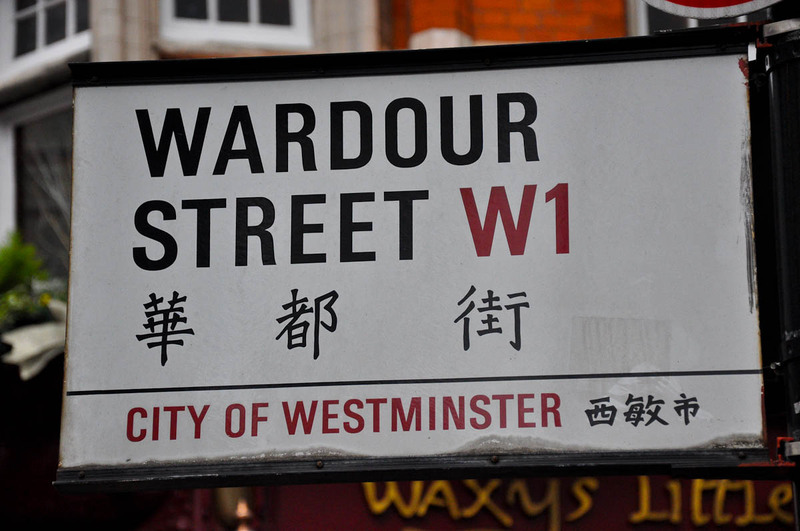 As soon as I saw Wardour Street sign, I calmed down. 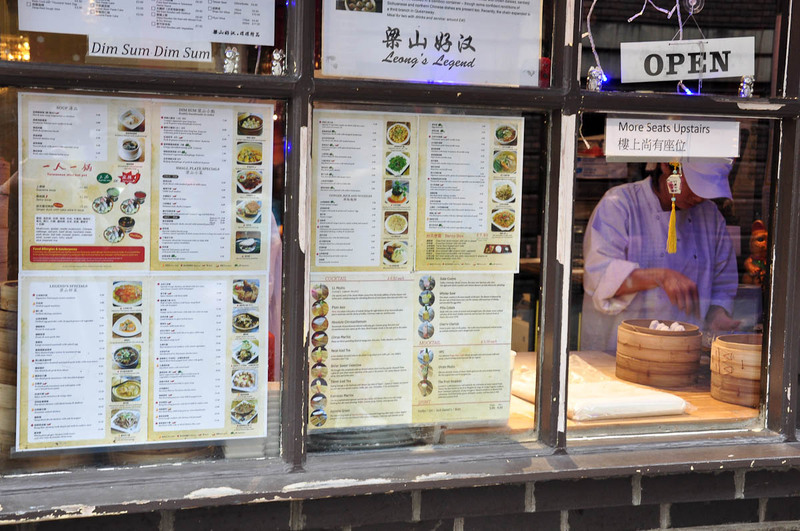 … to restaurants’ menus and names. 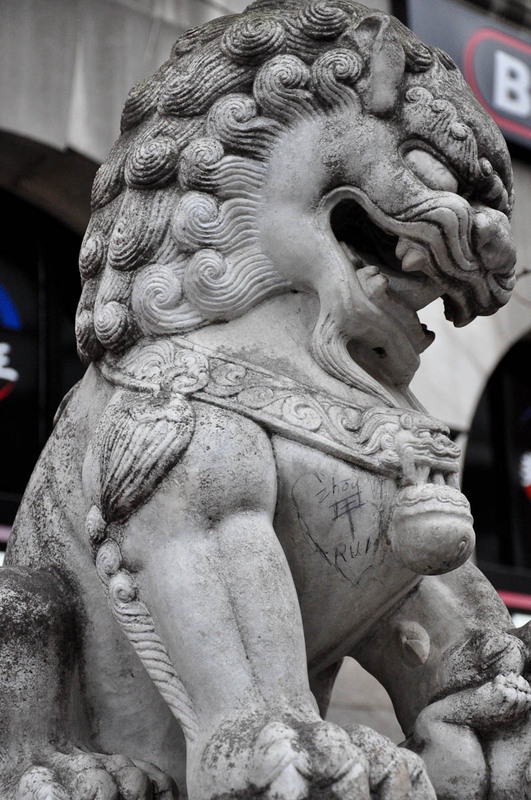 Heck, even the improvised heart-shaped graffiti stating that Zhou loves Rui on the lion-dog statue had a Chinese character incorporated in it. So, I was at the right place and I realised that it still made me happy being there, among the crowd, momentarily transported to a foreign land thousands of miles away. People were coming and going, a couple was having a little moment of their own. Another couple was eyeing a cheap ‘all you can eat’ buffet, where you can pile a plate up with a variety of Chinese dishes and then top it all up with some very English thick-cut chips – a culinary mix which seemed very popular with the clients of one such buffet the one time that a friend of mine, who liked this type of cheap eats, had really insisted that we go there. At that very moment in time and through the rush of memories something else caught my eye. 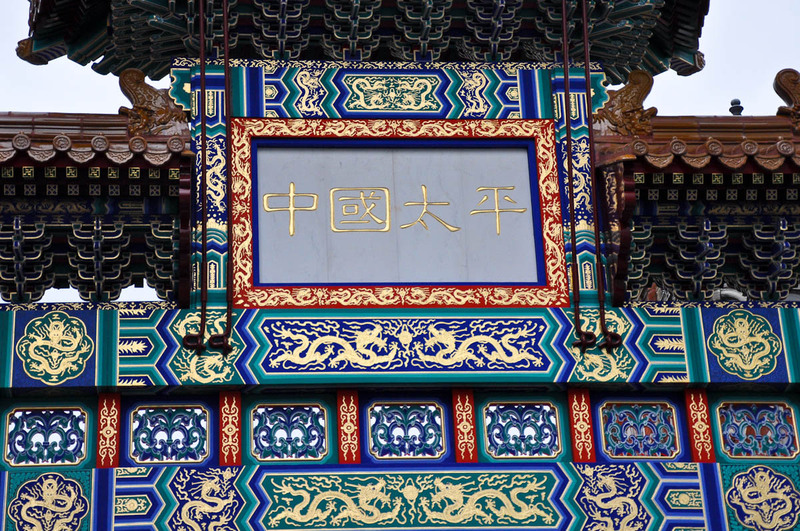 A brand new Chinese gate, called ‘paifang’, had been erected at the approach to Chinatown. It was simply splendid. This type of gate or archway traditionally has a purely decorative function and is used to mark the entrance to a building complex or a town. 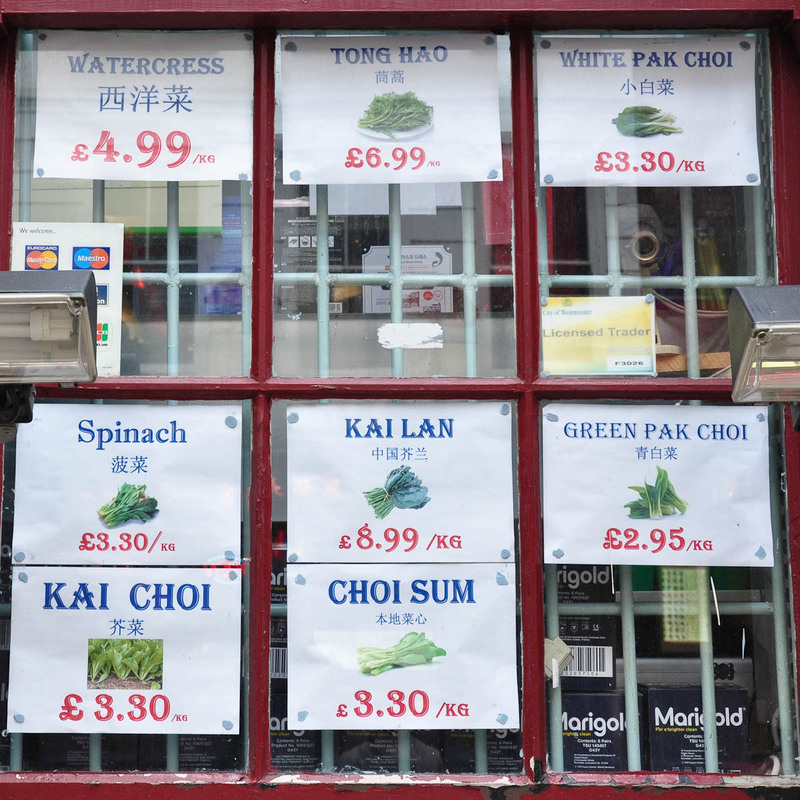 With the new one, the number of the paifangs marking the outlines of London’s Chinatown has now risen to four. I have always loved the older three gates. 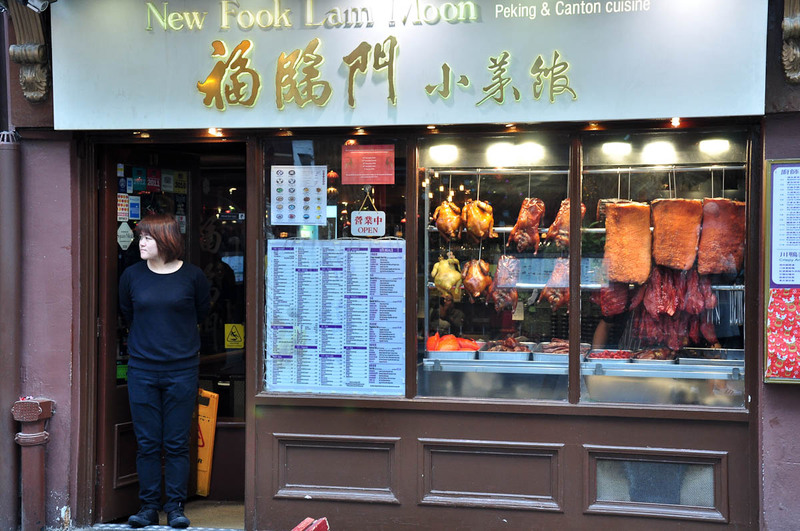 They are much smaller and much less splendid than the new one, but have always served as markers between where conventional London ends and the exuberant Chinatown begins. 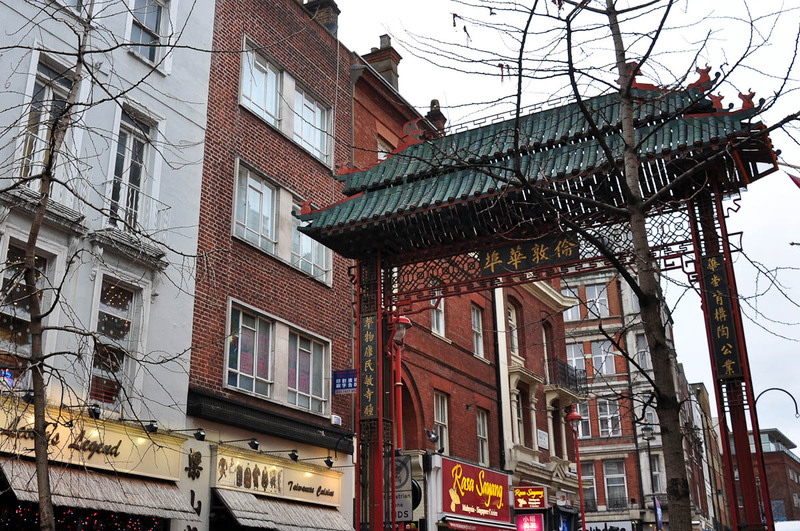 London’s Chinatown is actually quite small – a cluster of houses and a couple of streets the main one of which is Gerrard Street. 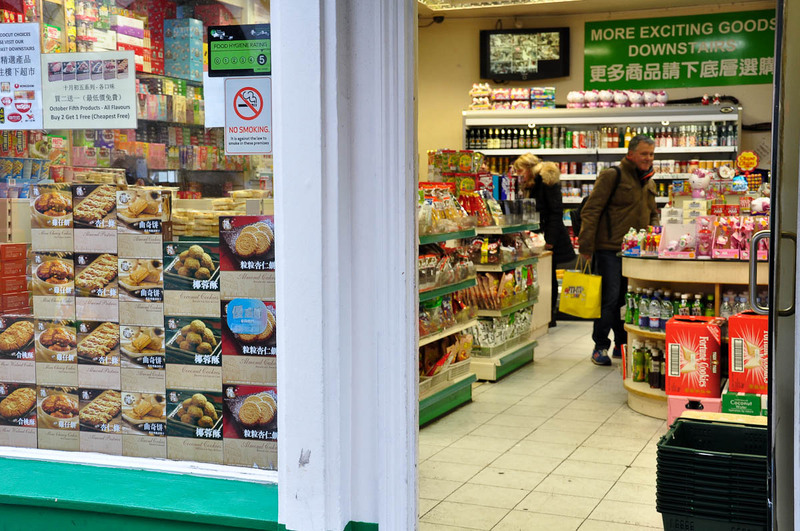 Up until the 70’s of the 20th century, the Chinese restaurants and businesses were concentrated elsewhere in London, most notably in Limehouse. Gradually they moved more centrally to London’s beating West End heart and slowly started to spread through and around Gerard Street – a process which is still ongoing, as more and more Chinese and Asian restaurants, shops and eateries open their doors in that area eager to satisfy an ever increasing demand for products and food from that part of the world. 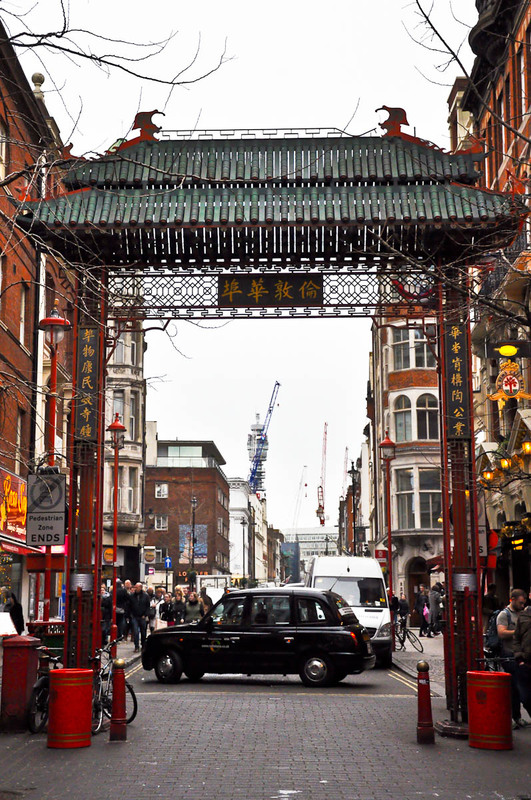 I remember visiting Chinatown all through the twelve years which I spent living in London. 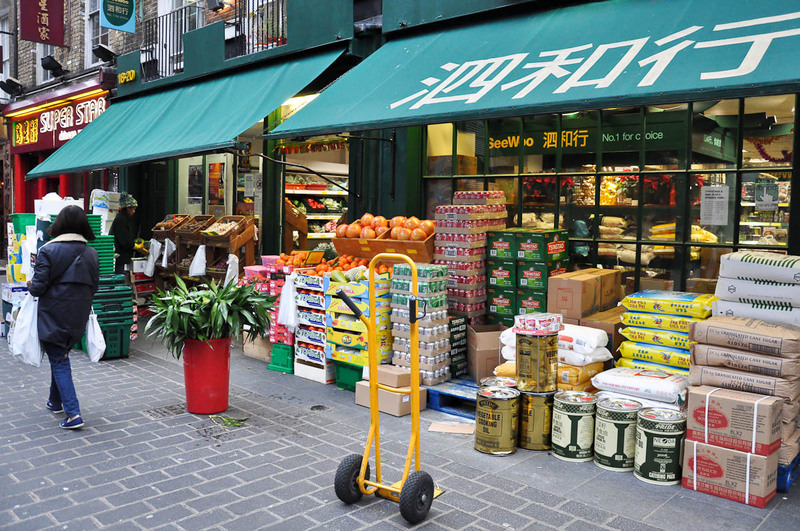 A friend of mine had gotten into Chinese calligraphy and I would go with her to this little shop which stocked pens and papers specifically for calligraphers. 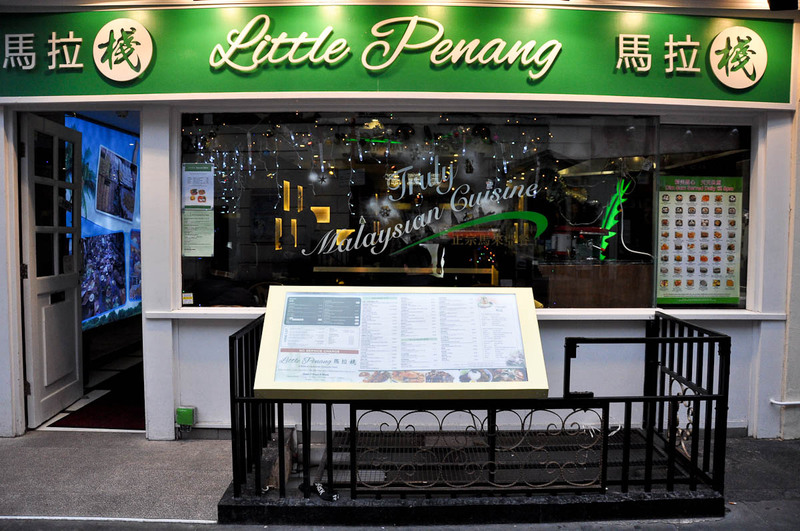 I remember going there for birthday meals or simply to meet up with friends, including a very intense guy, who insisted on ordering for me, as he was afraid I was going to opt for beef and peanuts stir-fry and he despised red meat. We sort of remained cautious friends for a little bit afterwards, as, I am sure, he couldn’t get over the fact that Bulgarians eat red meat, and I found his insistence to order for me a bit controlling to say the least. And I had a Chinese housemate for a while several years ago who gave me the best remedy for back pain. I still keep the empty bottle, all covered with symbols and characters. Perhaps, I need to take it with me next time that I have a chance to visit Chinatown and see if I can procure more of the same. It felt really nice walking down Gerard Street and all these long-forgotten memories coming in a rush at me. 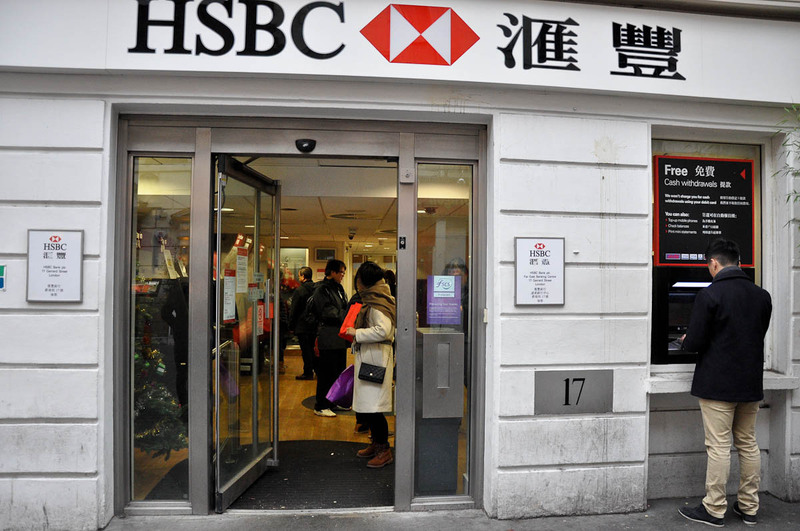 The whole street seemed dressed mostly in red and green – lucky colours in China. 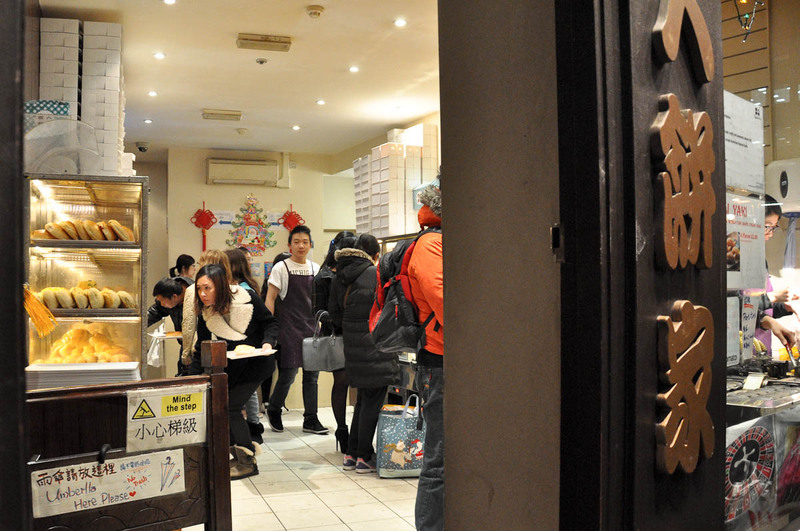 Among the Chinese restaurants, there were some from further afield – like Korea, Malaysia and Japan. 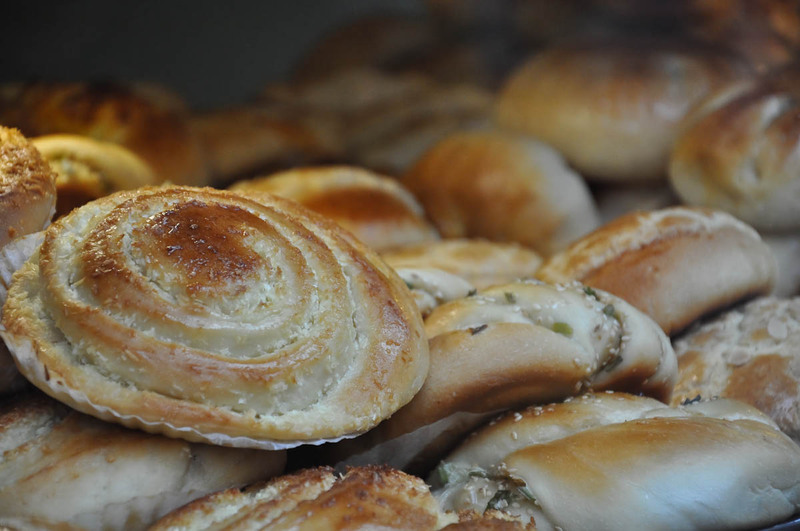 As usual, I was attracted to the small Chinese bakeries with their window displays groaning under the weight of many different doughy snacks. 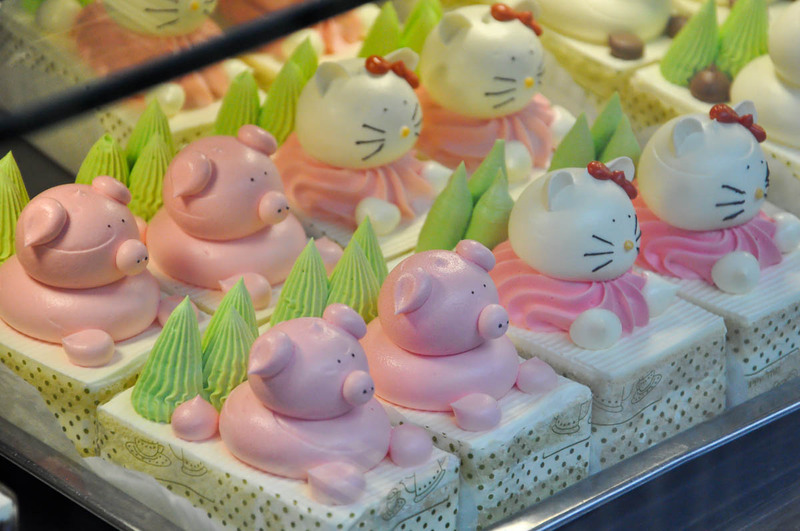 The Chinese fancy cakes were, as always, really beautiful to look at. 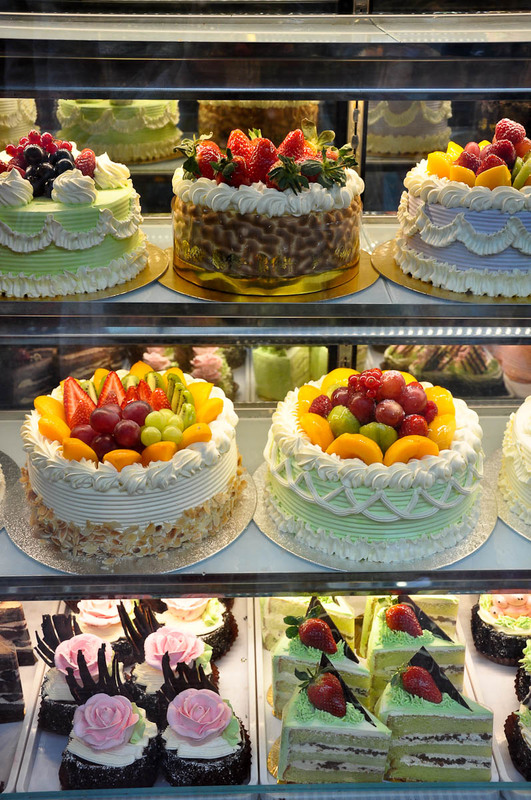 I didn’t feel tempted to have a piece though, as from previous experience, I knew I didn’t quite like their taste. The sponge felt mass-produced and the cream was not fresh. 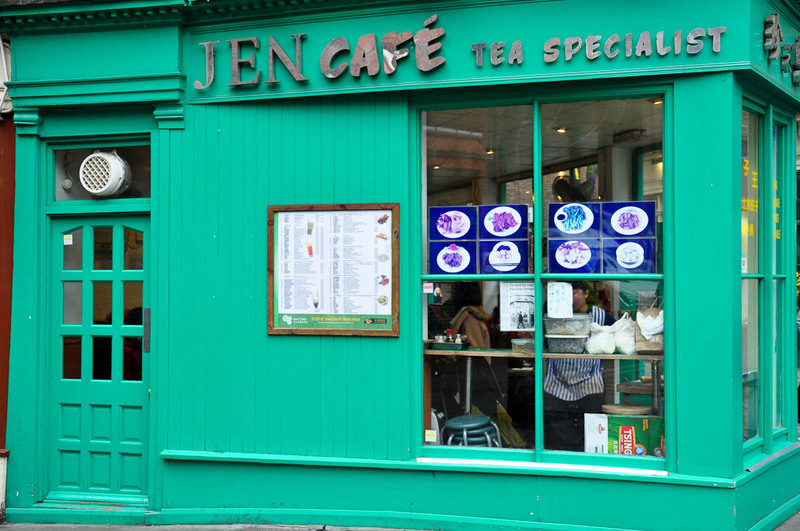 I thought that I’d better keep my appetite for a bowl of freshly made dumplings at Jen Cafe. 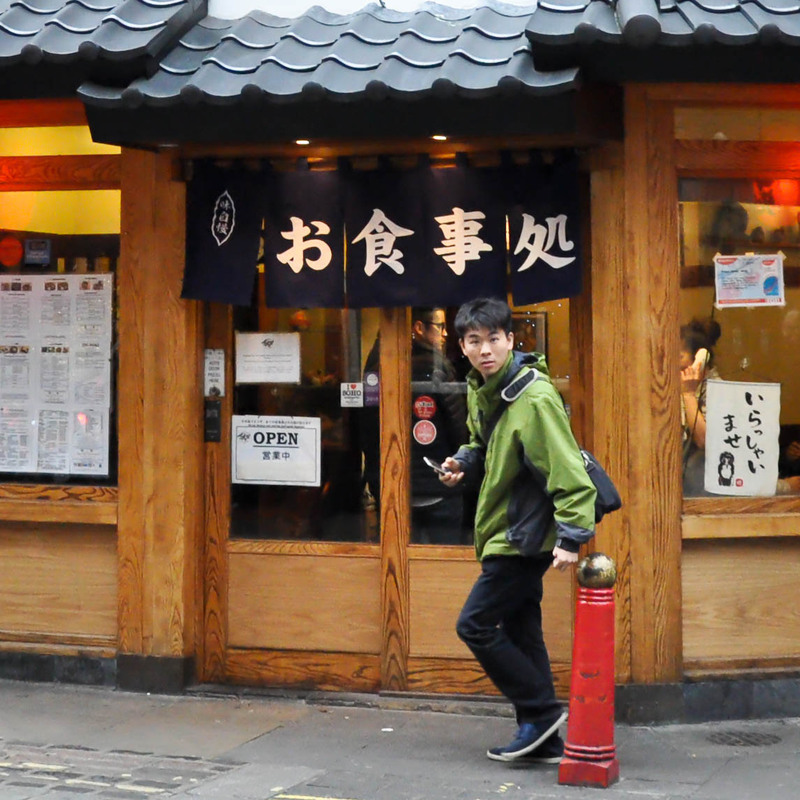 Or even better, suddenly I fancied a bowl of soba noodles at my favourite restaurant in London’s Chinatown, which ironically is a Japanese place with authentic Japanese meals. 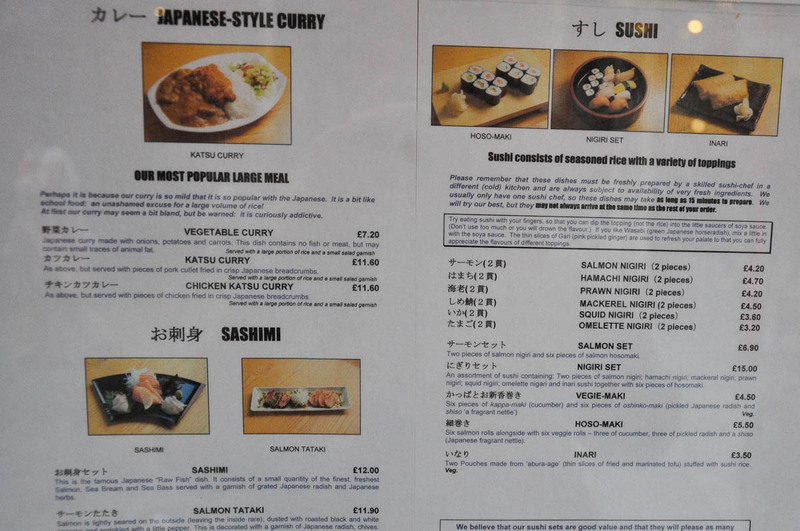 Tokyo Diner is right at the end of Chinatown, if you are coming from Gerard Street, or right at the start of it, if you are coming from Leicester Square. 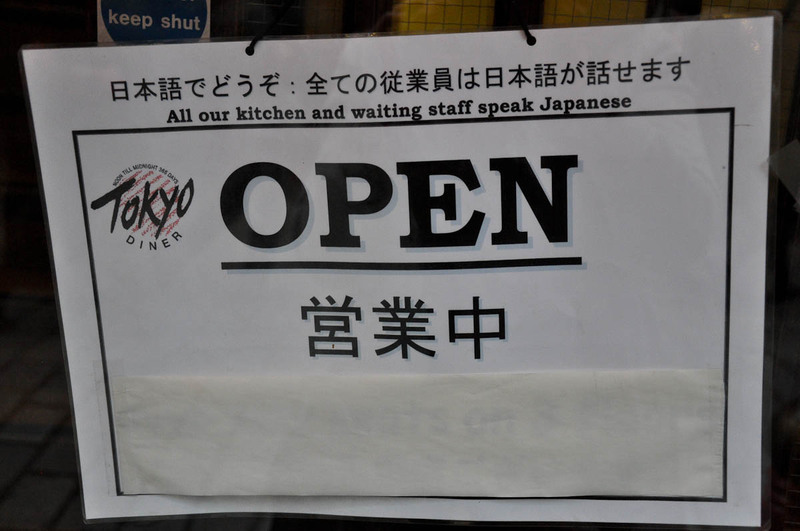 It is small and very traditional with tiny stools and tables and with exclusively Japanese staff who doesn’t accept tips. My husband and I loved going there whilst we were still dating in London which now feels many moons ago. 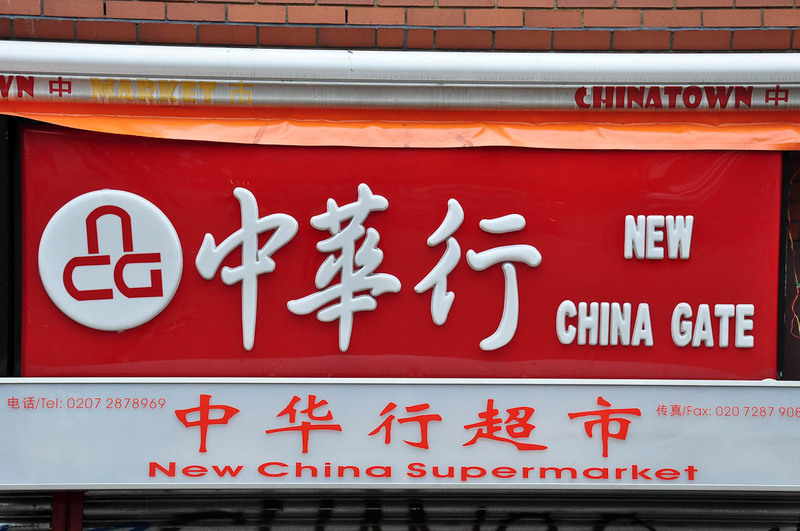 I was almost at the end of my walk through Chinatown. 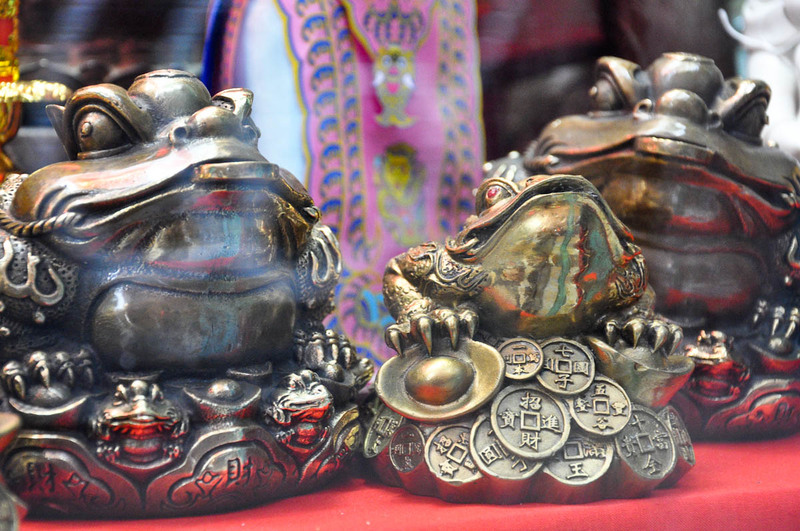 I wanted to make one last stop at my favourite Chinese shop, which is actually like a covered market with lots and lots of stalls inside selling everything and anything from money frogs to incense. Unfortunately, it was closed just on the day of my visit. A bit disappointed, I spent a few more minutes walking around and just taking it all in. 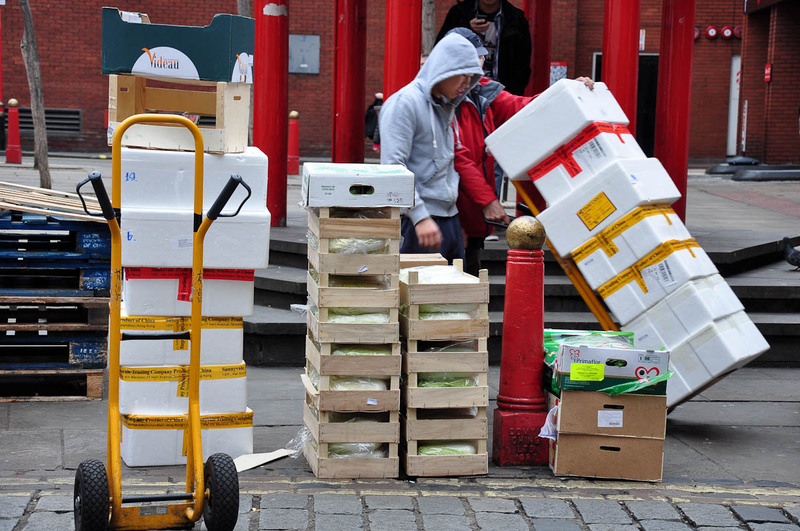 It was colourful and lively, with crates of fresh produce being delivered for a family restaurant. 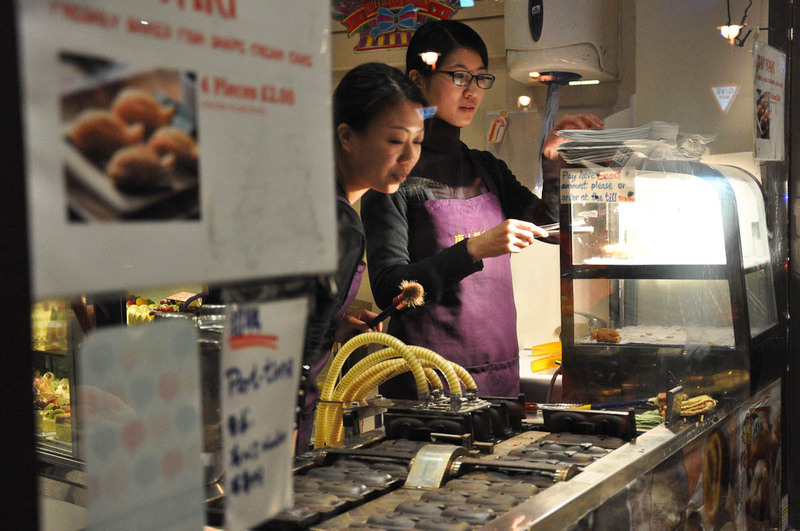 With a couple of girls carefully baking tiny custard-filled waffer fishes. With a local hairdresser skillfully working on his client hairdo. 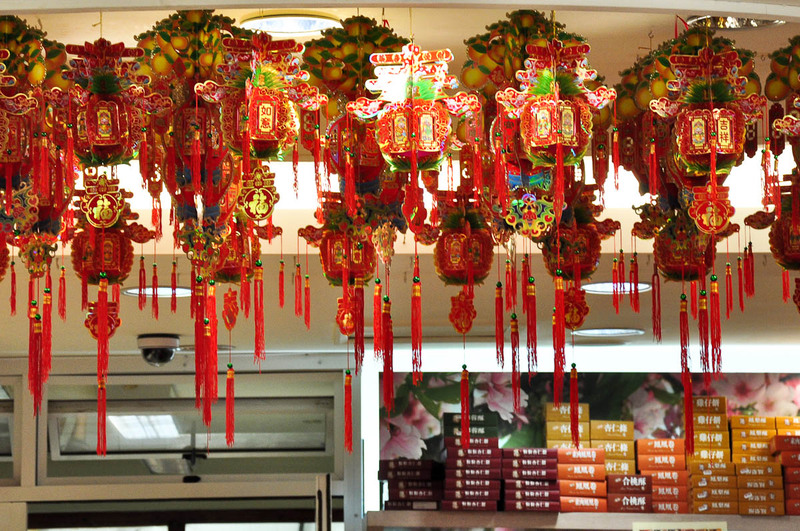 With traditional red decorations swinging gently under the ceiling of a Chinese bakery. I just love it, love it there. Such a short and sweet escape – from the dark and drizzly streets of London straight into a far away dream.